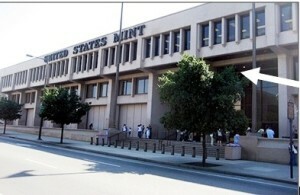 GreenTech Energy Services was hired to do a retrofit of the lighting at the U.S. Mint in Philadelphia. 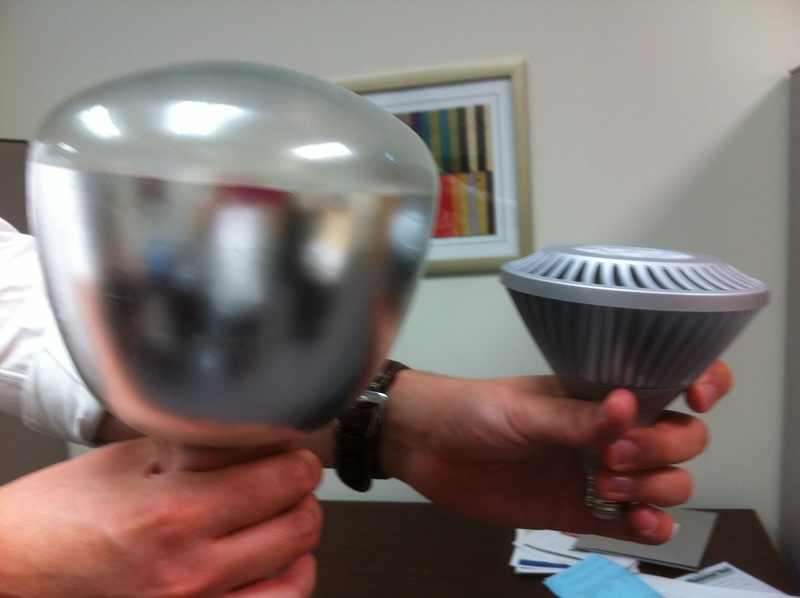 Most of the exterior lights were replaced by LED, saving a significant amount of energy without adversely affecting the level or quality of light. For example, in the overhang along the front of the building (see arrow in photo above), fixtures with 500-watt incandescent bulbs were retrofit with 18-watt LED 38 PARs. The new LEDs shed a crisp white light that will improve safety and security as well as aesthetics, while reducing wattage by 482 watts per fixture.